So without any further delay, let me dive into the review. 15 light. This shade is neither pinkish nor does it has a yellow undertone. Instead, it has a neutral undertone and a perfect shade for fair skin tone. This loose powder comes in a square plastic box with a secured cap. Once you open the cap, you can see mesh-like inner mouth through which the powder comes out. The packaging looks luxe and is very similar to Huda Beauty baking powder. All in all, the packaging is secure, not too bulky and travel-friendly. I usually take the product on the cap and then apply it. One disadvantage of loose powder is that they create a mini mess while applying. You can see loose Powder spilled like dust in and around the area where you have applied it. 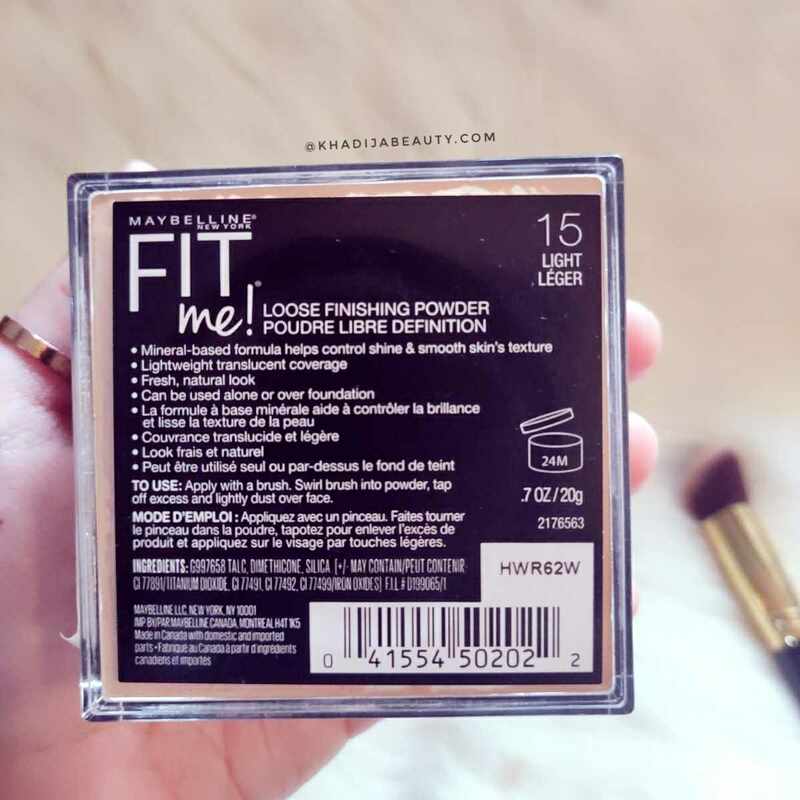 How is the texture and fragrance of Maybelline fit me loose finishing powder? I am totally in love with its texture. This loose powder is super finely milled and extremely soft in texture. I tried sniffing it to find the fragrance and thankfully there’s no fragrance to this powder. I belong to that group of people who easily breaks out after using fragranced products. 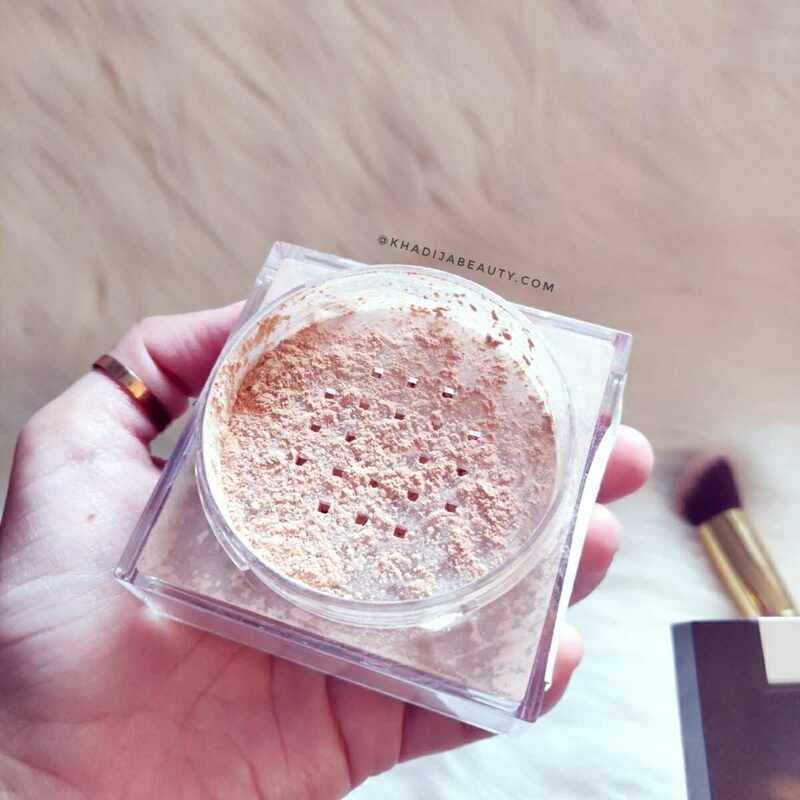 Can I expect this loose powder to give coverage? Maybelline loose powder gives coverage similar to any BB cream or medium coverage foundation. 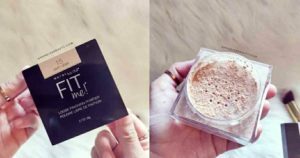 If you are not a foundation person then you can apply moisturizer, sunscreen, and this loose powder, and you are good to go. How is the final finish? As I said, you can very easily replace it with a BB cream. This loose powder is not powdery at all. 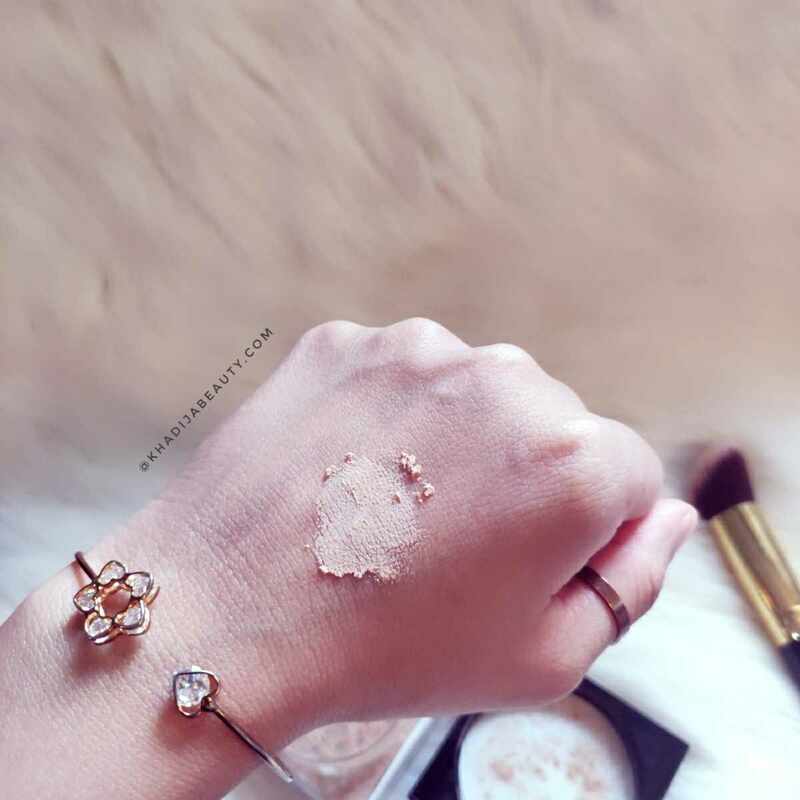 In fact, it is more like a creamy soft powder that melts into the skin while blending. They set the foundation, blurs out the pores, gives a beautiful finish to the base and doesn’t give any flashbacks. I guess that’s why they have named it as “finishing” loose powder. I used a moisturizer & this powder alone and it gave me a final look as though I have used a foundation. It mattifies the face completely. So if you’re using a matte foundation then you will need this only on your T-Zone. 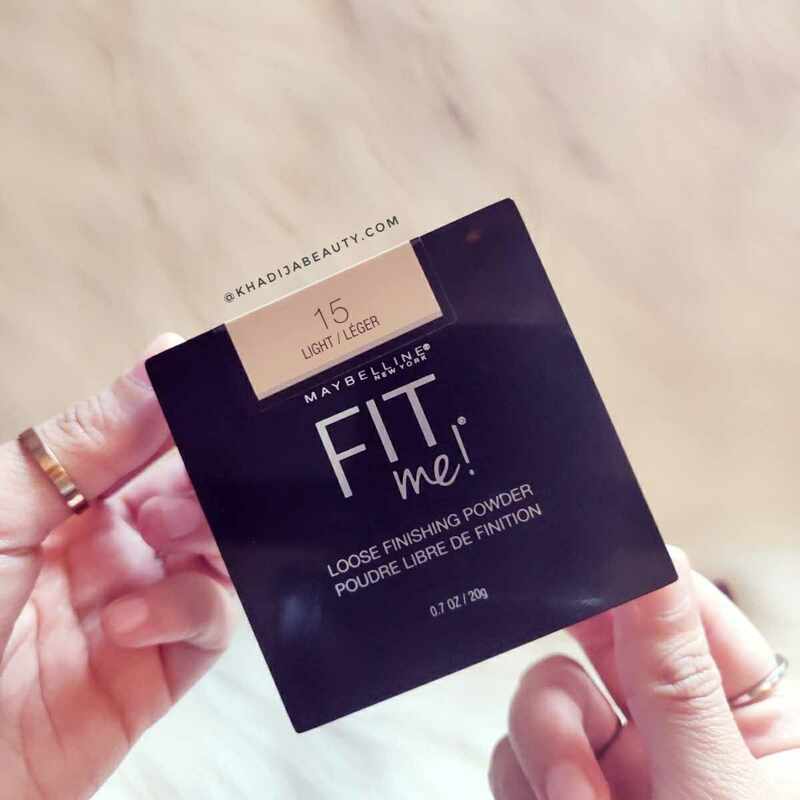 Who are all can use Maybelline fit me loose finishing powder? 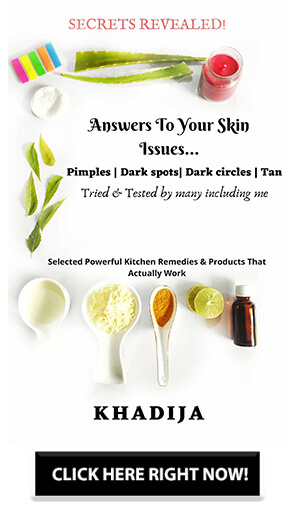 Since it not powdery or drying, people of any skin type can use this. Oily skin people would require more of the product compared to dry skin people. If you have dry skin, then use a thick layer of moisture or facial oil and then applying this powder. 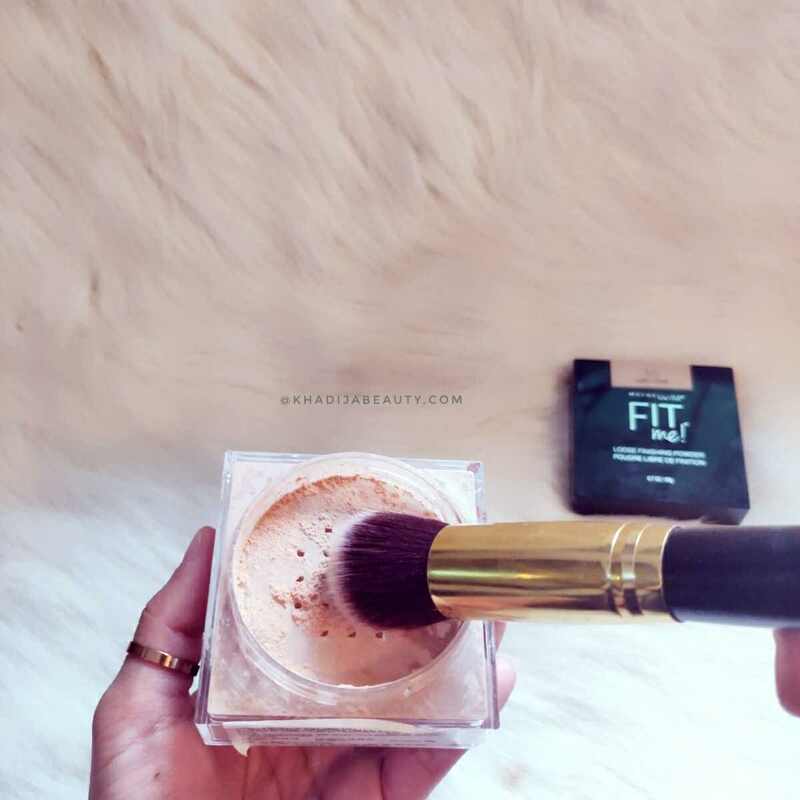 How is the staying power of Maybelline fit me loose finishing powder? I used L’oreal mat magique foundation and set it with this loose powder. After 3 hours, 75% of the powder on my nose has melted away. So oily skin beauties would require a touch-up if you are using it instead of your compact. If you have normal or dry skin, then it would last longer. If you’re looking for a good quality loose powder, then I would highly suggest you try this. I totally loved this as a loose powder. It gives coverage, hides my pores, mattifies and does not give a powdery/chalky finish to the face. Oily skin people would require a touch-up on their T-Zone after 3 hours (Touch-ups with loose powders are gonna be messy and difficult if we are in parties or while traveling/shopping). However, people with other skin types will not have a tension of touch-ups. So I personally feel Oily skin people can try this if they want. But if they need a powder that would give similar effects just like this loose powder then they can opt for Maybelline Fit me Compact. I have used two packs of it and totally loved and it would be easier to reapply on the go. Amazing review! I was looking to buy one for myself and got your article.